Molly Firth knows her way around health statistics. In fact, with a master’s degree in public health and more than a decade’s experience directing healthcare policy, she’s a verifiable expert. But when it came to her pregnancy with her daughter Clara, she couldn’t have predicted the traumatic turn her labor would take, or her sudden need for blood and expert care. 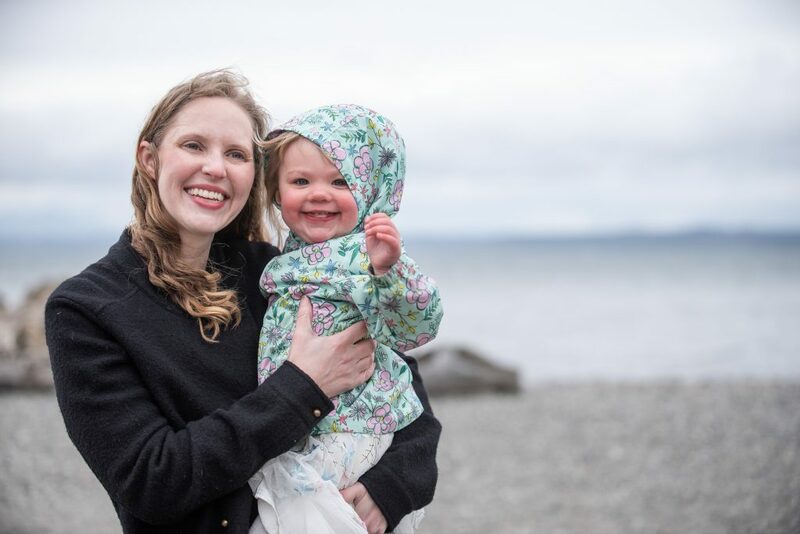 Fortunately, Molly gave birth at a hospital where Bloodworks Northwest ensured a strong blood supply and clear medical protocols. For many other new mothers in Washington and across the United States, this isn’t the case. Help us give all mothers the care they deserve by making a donation–and keep reading for highlights from Molly’s recent interview on the Bloodworks Happenings podcast. On her unexpected birth experience: “I went into childbirth thinking that I was going to have a natural delivery, which was hilarious in retrospect because I did not. I immediately had an epidural and I ended up laboring for a really long time. After about three hours of pushing, the doctor was like ‘You know, baby’s not really dropping, we might need to do a c-section.’ The baby came out–it was a girl–and soon after that, I started feeling a lot of pain. At some point I lost consciousness and woke up the next morning in the ICU very confused. To celebrate Clara’s first birthday, Molly and her family hosted a blood drive. Molly also rolled up her sleeve in honor of the blood that saved her life and continues to help many other new mothers. Like Molly, you never know when you might need blood. This Mother’s Day, make a gift to Bloodworks to ensure the blood and expert care is available for those you love most.